The gilt-head sea bream, also known as royale bream, Sparus aurata in Latin and dorade royale in French, is considered as the best tasting fish of the breams. You can find gilt-head sea bream in the Mediterranean Sea, which is known as FAO fishing area 37. The gilt-head sea bream can be farmed as well as caught, but most of the time sea bream is farmed. Our sea bream is most of the times also farmed in the countries Greece and Turkey. Van der Lee Seafish has also caught sea bream available, but as a supplier we prefer to farm it because catching sea bream is really difficult because of its scarcity. The low availability of sea bream is also the main reason why sea bream can be quite expensive. We sell our dorade royale fillets skin on, pin bone in and boneless. We also have whole round, scaled, gutted, head on or butterfly cut dorade royale available at our ‘Fish Worldwide’-page. The sea bream is characterised by the golden mark between its eyes. It lives in marine waters as well as in the brackish waters of coastal lagoons. Like every fish, sea bream fillets contain a lot of protein. 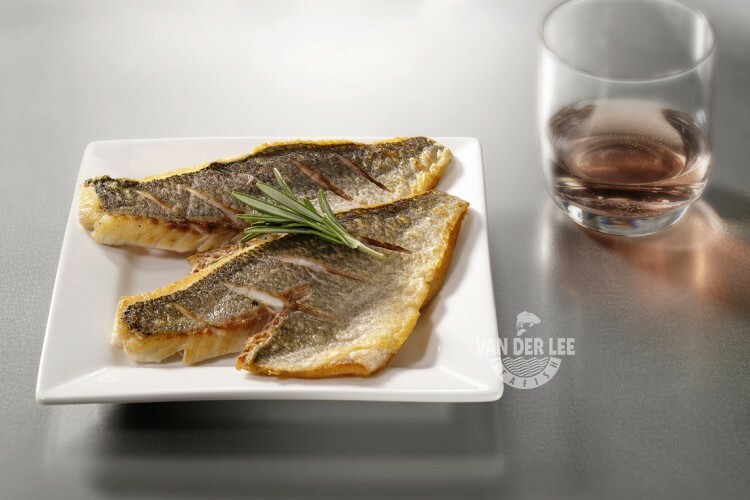 They contain more calories and more fat compared to whole round sea bream, since sea bream fillets contain around 190 calories, which depends on the way in which you prepare them of course. Sea bream has a sweet and delicate flavour and a firm texture, which is one of the reasons why sea bream is often compared to sea bass. We sell our dorade royale fillets mainly to restaurants and supermarkets in the countries Italy, Germany, Spain and the Netherlands. Sea bream is especially popular in Mediterranean countries like Italy and Spain. But nevertheless, the fish is also quite popular in Germany. In Germany the fish is called ‘Goldbrasse’ or ‘Dorade’. In Italy they call it ‘orate’, which refers to the golden mark between its eyes. In Spain the fish is called ‘dorada’. Fillets of sea bream is mainly used in a main dish. It is also often prepared with potatoes or other vegetables. You can also eat gilt-head sea bream with spices, this will make the fish even more delicious than it already is.